In this, the concluding post in my series on history spaces, I want to take up the hardest question of all — how we might find the physical spaces we need to take the sort of creative and new approaches to digital history, online education, and undergraduate research I’ve advocated for here. I think it’s fair to say that few, if any, of our institutions have extra space lying around near our departmental offices that they would be willing to let us have, retrofit, and repurpose. And even if such spaces were just sitting there waiting to be used in new and different ways, it’s probably unlikely that a history department would get to call first dibs. We’re more likely to lose out to our colleagues in the STEM disciplines, the business school, or other programs that bring in larger enrollments and more external funding. 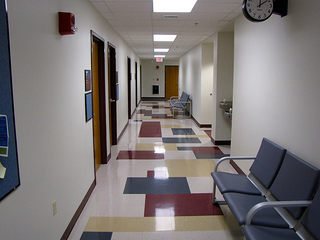 That being the case, all we have left to work with are our departmental spaces themselves. Unfortunately, if your department is anything like mine, the way your offices are set up right now doesn’t really lend itself to developing new and exciting spaces for student/faculty collaboration. Which leaves us with only one really viable alternative. To get new spaces that will serve us well over the coming decades, we’re going to have to give up something, and that something is going to have to be our private faculty offices. Yes, I know that to even suggest that a professor give up his/her private office is about as heretical as anything I could possibly suggest. But before you click away to something less likely to elevate your blood pressure, hear me out. Let’s all be honest for just a minute. Raise your hand if every one of your colleagues uses his/her office for more than 20 hours per week every week. Anyone? No? I didn’t think so. The fact is, every history department in the United States has plenty of office space that is used less than 20 hours per week — much of it for less than 15 hours. And when they are in use, what do we do in our offices? Most of us — not all, I grant, but most — use our offices primarily for prepping our classes, meeting with students, grading, and catching up on email. 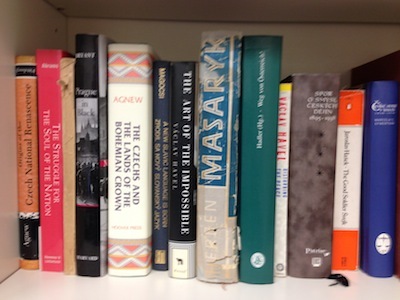 Very few historians I know do significant research and writing in those departmental offices. That work, as I suggested in my first post in this series, mostly takes place in archives, libraries, or at home. So, if we have all this space that is being used less than half time, there are two possible alternatives for how we might reconfigure our office spaces to make them into what we want. The first alternative is, in some ways, the simplest — shared offices. Bob, who teaches MWF this semester has the office those days, and Stan, who teaches TR, has it the two other days. But what about my books??? Trust me, I know. I too love my books and just sitting in my office looking at them makes me happy. But, since we’re being brutally honest here, how about this as a solution to your books. You get to keep every book that you’ve taken down off the shelf in the past 18 months. All the rest have to go home. In my case, that would open up something like 70 percent of my shelf space. Maybe more if I’m being really honest. The second alternative, and the one that would have to require some serious re-thinking of how we work in our departments, is to move to an open floor plan — no, not cubicles — where individual workspaces are surrounded by offices that can be used for private meetings, project work, or private calls. Almost every other industry in the United States has moved to open floor plans and higher education just can’t be so special, so exceptional, that it couldn’t work for us as well. 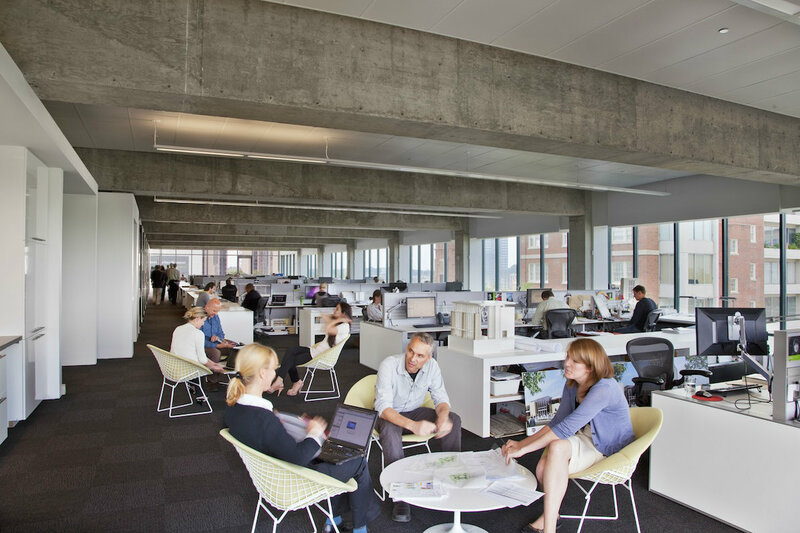 Industries where professionals have to engage in creative, intellectual work have found ways to make open floor plans successful and report that collaboration among colleagues, general employee happiness, and overall productivity have gone up rather than down. This image is from the offices of Perkins+Will, an architectural firm in Atlanta, Georgia with a substantial higher ed practice. The main common space shown here holds dozens of workspaces for the architects and is ringed by glassed in offices that are used for various ad hoc purposes — the kinds of purposes I have been describing in my earlier posts. And, you’ll note, everyone has a window. I don’t know about you, but I certainly prefer natural light over florescent tubes. If the very idea of giving up your private office hasn’t sent you away yet, try this experiment. Make a simple sketch of the total office space your department occupies. Then think carefully about the kinds of new spaces you’d like to have. 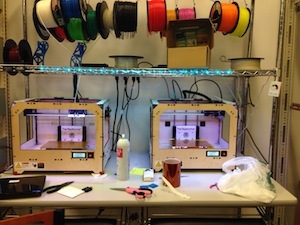 Do you want a maker lab? Do you want group work spaces for students taking online courses? Do you want a “history lab” where you, several colleagues, graduate and undergraduate students can all work together on long term research projects? How about a new classroom that your department controls and that houses the technology, cartons of artifacts, or whatever, that you’d like to have available all the time? If you were to halve the number of private offices (option #1, shared offices) that your department has, how much space would that free up? Would it be enough for the cool new spaces you envision? Or, if you were to move to an open floor plan like the one pictured above (option #2), how much space would that free up? You might object to the whole idea I’ve laid out over the past few days on the basis of pessimism about your institution’s willingness to invest in reconfigured department space. Before you do, it’s worth sitting down with whoever is in charge of your campus spaces — an architect, a space planner, a facilities director — and just have a conversation with them. I can say that all across the United States people who fill those roles at colleges and universities are engaged in a very interesting and dynamic conversation about how campus buildings need to be retrofitted to meet the learning needs of future students and the research needs of future faculty. See if your campus is a member of the Society for College and University Planning. If so, then someone on campus has been at least partly connected to these conversations. If so, you may just be surprised to find that you have a receptive audience, maybe even a willing partner, especially if you go in an offer up something — the footprint of your department — in exchange for something new and exciting. The alternative, I’m sorry to say, is for us to sit in our offices, with our books, lamenting that those STEM people keep getting all the good spaces on campus. This entry was posted in Posts and tagged AHA, collaborative learning, Digital History, learning spaces, online education, undergraduate research on January 6, 2014 by Mills.